LIKE any striker, Ally Russell deals in goals. They are his currency – and he wants to start building his ACE Premier League account quickly. 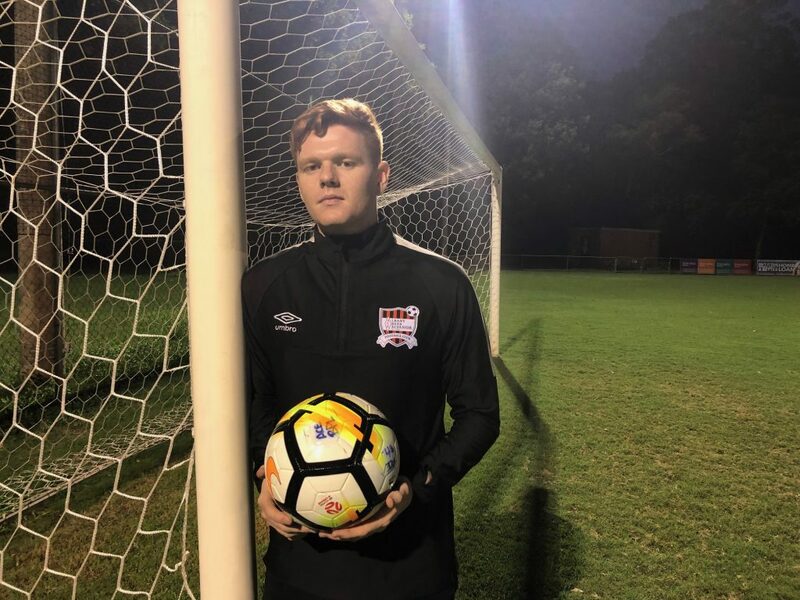 Ally hit hat-trick in the FFA Cup against Jimboomba, but has not found the net in his two Premier League outings so far this season. His next chance will come against Centenary Stormers who visit Wolter Park on Saturday kick-off at 6pm. ACE are currently on top of the table, Stormers are ninth having played one game (4-3 loss at home to The Gap) due to rain and cup ties. “I’m keen to get off mark,” said Ally, “as a striker I want to do it as soon as possible, but there are no nerves or anything like that. Ally missed the first three games this season through suspension. During that time he was training hard, but lacking match sharpness. “I think I’m still getting there,” he said “I’m about 80-90 per cent there now. It’s not too far off because I was still doing the training. ACE enter Saturday’s game on the back of three successive clean sheets – 4-0 v Acacia Ridge, 9-0 v Jimboomba, 1-0 v UQ. “Three clean sheets on the trot – the lads at the back have been unreal,” Ally said, “and obviously Sean (Lewis) contributing to the win last week. “I don’t know too much about Stormers. Last year for North Pine they made it a battle. It’s always tough at their ground.